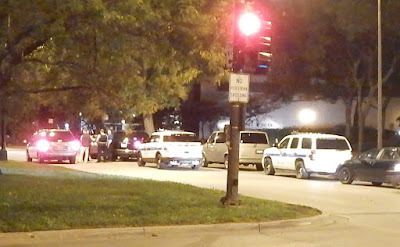 An SUV used in multiple robberies this week is trapped by a CPD unit at Belmont and Lake Shore Drive today. UPDATE OCTOBER 9, 10:42AM: Robbery charges have been filed. Full report HERE. 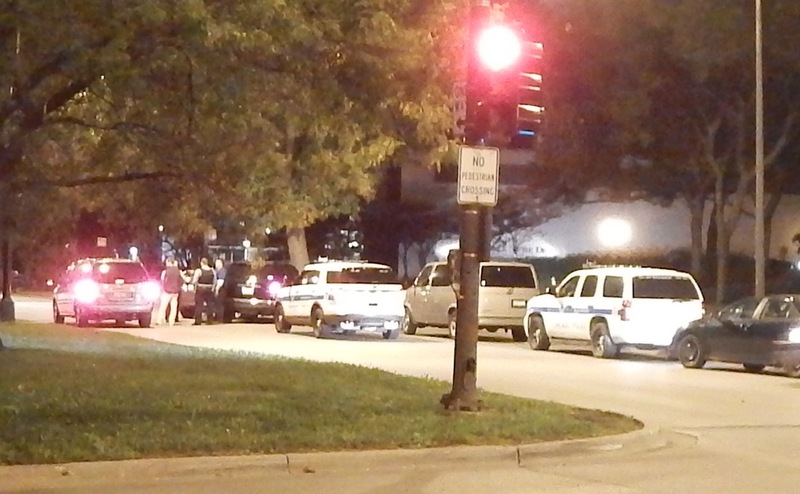 An hour-long manhunt in Boystown overnight ended just hours ago with the arrest of a suspect in at least two of this week's many robberies in Lakeview and Roscoe Village. CWB Chicago has learned through a confidential source that a separate arrest has been made in the mugging of a 14-year-old boy on Tuesday afternoon. A Chicago police mission team this morning was monitoring a stolen Toyota Highlander that is suspected of being used in multiple robberies since Monday. At 2:45AM, the Highlander struck a car near Belmont and Sheridan and officers boxed the car in near 3190 N. Lake Shore Drive. The driver bailed out and ran into the park near Belmont Harbor. 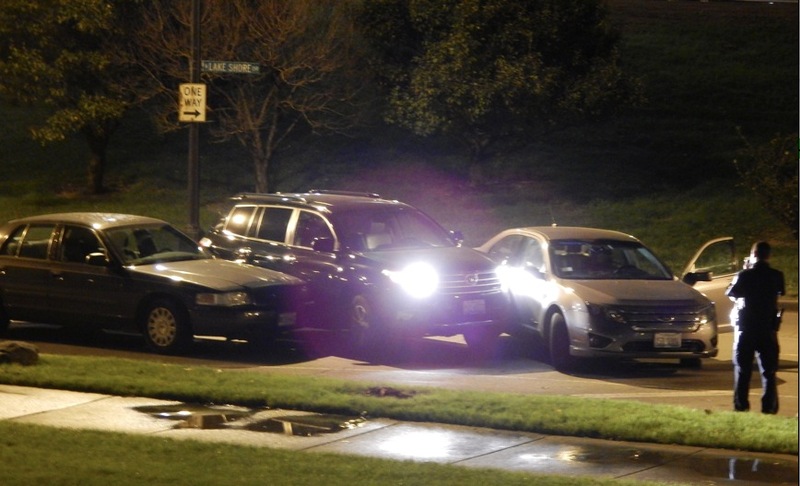 Multiple sources have told CWB Chicago that police believe the vehicle is connected to the mugging of a retired Chicago policewoman behind her home in the 1800 block of Cornelia on Monday. And the license plate of the SUV matches that given by a witness to the mugging of a woman near Halsted and Oakdale on Tuesday morning. Officers chased the suspect into the park on foot, but lost him after he ran through the Roscoe Street pedestrian tunnel under Lake Shore Drive. He was eventually arrested when officers found him hiding in a yard in the 500 block of Roscoe after a meticulous hour-long search. An arrest has been made in the Tuesday afternoon mugging of a 14-year-old boy in Roscoe Village, according to a source close to the investigation. The source told CWB Chicago that the father of the boy arranged to meet up with the offender under the premise of getting the phone back. The father drove to the other side of town, then canceled the first "buy back" attempt because police were late for the rendezvous. He tried again early Wednesday morning and cops went along to make the arrest, the source said. Chicago police have not confirmed the information publicly. Chicago police have now confirmed the arrest. A 17-year-old juvenile from Macon, Georgia, is in custody.